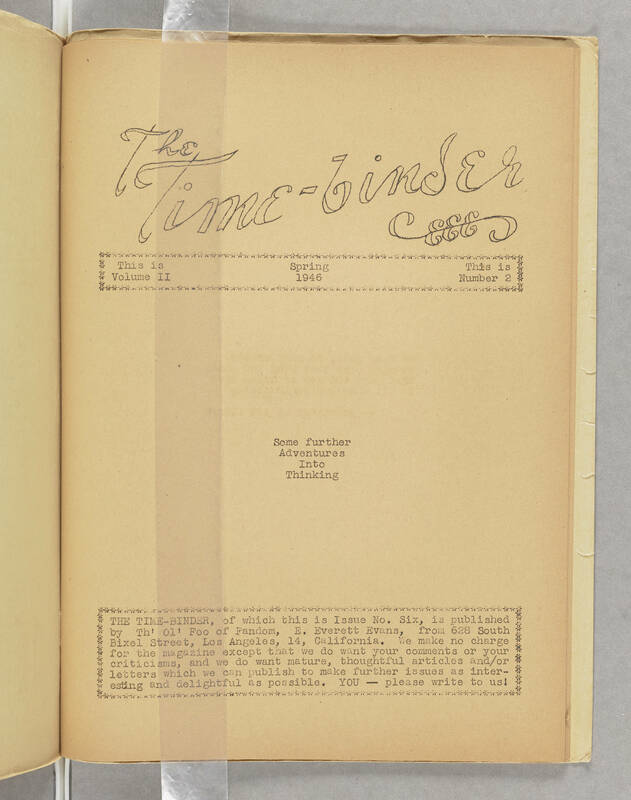 The Time-binder This is Volume II Spring 1946 This is number 2 Some further Adventures Into Thinking THE TIME-BINDER, of which this is Issue No. Six, is published by Th' Ol' Foo of Fandom, E. Everett Evans, from 628 South Bixel Street, Los Angeles, 14, California. We make no charge for the magazine except that we do want your comments or your criticisms, and we do want mature, thoughtful articles and/or letters which we can publish to make further issues as interesting and delightful as possible. YOU -- please write to us!